Four standard measuring ranges available with auto load-selector. Deflection is read directly on electronic Electronic Digital Display. Straining at variable speeds to suit a wide range of applications. High reading accuracy due to large size of dial. 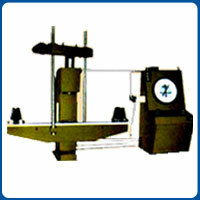 Large effective test space enables testing of wide range of springs.